TataCliq is here with a great deal offering Lava A97 4G Dual Sim 8 GB (Black/Gold) at Rs 3999 . Take the wholesome experience of enjoying sharp image and sound clarity with the Lava A97 Smartphone. It is equipped with a 1 GB RAM for efficient operation. Grab it Now..!! 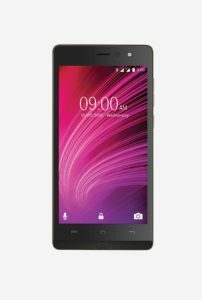 How to Buy Lava A97 4G Dual Sim 8 GB?